For better or worse, modern technology assures there’s a video camera trained on virtually every event that occurs. Not surprising, NBC has released video shot by a tourist of the actual moment of a mid air collision over the Hudson River between a Piper Saratoga airplane and a Eurocopter 350 helicopter. While the video will undoubtedly provide vital clues in the NTSB crash investigation, it is graphic in nature and not everyone will want to watch. the helicopter flying straight and level over New York’s Hudson River and an airplane converging from slightly higher and to the right of the helicopter. A moment before the crash, the plane appears to be turning to the right to avoid a mid air collision with the helicopter. Plane crash pictures taken by other photographers show the right wing of the aircraft missing after the collision. This suggests to me that the aircraft was turning sharply to the right, but that the helicopter’s rotor blades extended beneath the aircraft, cutting off the lowered right wing. Perhaps if the airplane pilot had pulled up instead of turning, his wings might have been spared, though we’ll probably never know for sure. What is known is that 9 victims died in this tragic crash. While the exact cause of the mid air collision over the Hudson River may never be known, the aftermath has been predictable. Elected officials have dramatized the incident suggesting lax regulations for flights over the Hudson River resemble the “Wild West.” They’ve called upon the FAA for new regulations, including prohibitively expensive TCAS II equipment for aircraft flying over the river. Some are even calling for construction of a new tower to control air traffic over the river. I flew the Hudson River corridor frequently when I lived in northern New Jersey. It is busy airspace, but it’s not the Wild West. Aircraft generally fly to the right side of the river; southbound traffic stays near New Jersey and northbound traffic stays closer to New York City. A quick search of NASA’s ASRS database shows only 2 reports of near mid air collisions in the last 10 years, though undoubtedly many more went unreported. According to the database, there were many times more reports for inadvertent incursions into TFRs, the ADIZ, and the controlled airspace of nearby airports. Thursday, the FAA announced that a Teterboro tower controller and a supervisor have been suspended for inappropriate actions, though their actions apparently had no direct impact on the crash. The controller was apparently talking with his girlfriend on the telephone about the time that he was instructing the Saratoga to contact Newark tower. The supervisor, who was required to be on site, was not in the building at the time for as yet unexplained reasons. In both cases, this apparent disregard for following rules is inconsistent with the call for “professionalism” that FAA Administrator Randy Babbitt issued just days before when speaking at an ALPA Air Safety Forum. Pilots need to follow rules and so do controllers. The official NTSB probable cause is likely a year away. However this and other mid air collisions highlight a fatal flaw in the FAA’s “See and be Seen” concept of traffic avoidance in visual meteorological conditions. The simple fact is that pilots are not successful 100% of the time in seeing and avoiding other aircraft for a variety of reasons. Blind spots exist making it almost impossible to see other aircraft approaching from certain angles. External conditions, including flying toward a low sun, particularly in hazy conditions, make it almost impossible to spot traffic approaching from the direction of the sun. Cockpit distractions and complacency can also be factors. Nonetheless, requiring TCAS II equipment, as 15 members of Congress have proposed, is absurd. TCAS I equipment costs $25,000 and even more for installation. TCAS II equipment is several times more expensive, meaning that it would exceed the value of many if not most GA aircraft! 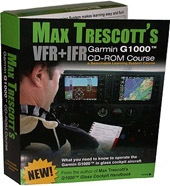 I'm a long time proponent of glass cockpit systems, such as the Garmin G1000 and Avidyne Entegra. I spend nearly 100% of my flying hours giving flight instruction behind these systems in piston and turbine aircraft. I’m convinced that if 100% of aircraft were equipped with these systems and that pilots operated them properly, we’d see a significant decrease in the fatal accident rate. 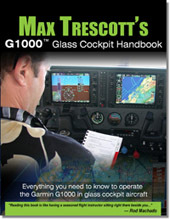 My favorite systems in these aircraft are the Traffic Information Systems (TIS) and Traffic Awareness Systems (TAS), both of which are described in detail in my Max Trescott’s G1000 Glass Cockpit Handbook. These systems display most transponder-equipped aircraft up to at least 7 miles away. The systems also provide a loud aural alert when traffic gets too close for comfort, usually within 500 feet vertically and ½ mile horizontally. That makes it easy to begin avoiding traffic long before it gets too close. ADS-B is another technology that the FAA is beginning to implement that provides similar capabilities. While I think the current ADS-B proposal is suboptimal, that system would have given both aircraft plenty of warning to avoid their fatal mid air collision over the Hudson River. Change is certain to occur as a result of this accident. The best possible outcome would be an acceleration of the NextGen program and the development of low cost ADS-B In equipment so that all aircraft can see each other. It’s time for the FAA to recognize that “See and Avoid” is wishful thinking. Instead, we need real solutions that compensate for our human shortcomings. No pilot can be perfect 100% of the time. 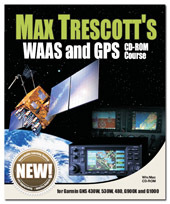 However an effective, low cost ADS-B implementation will get us closer to that goal. Good insight Max, thanks for commenting on this. 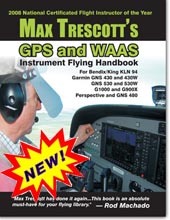 I also fly a G1000 w/ TIS and believe it to be a significant safety enhancement in most situations. I also fly around New York City and feel that the system is less effective in "crowded" air space. In a busy pattern or when flying along the shorelines the alerts are too frequent to be useful. The information is delayed 5 seconds and the system is only capable of displaying up to eight targets simultaneously. Also, the aural alert "traffic" is less useful than it could be-- "Traffic, two o'clock, low" would be more useful and more familiar. Instead, a "traffic" alert pulls the pilot's eyes inside the cockpit to visually interpret the the nature of the the hazard, at the precise time he or she should be looking outside. I have no experience with TCAS II and can only assume it's an improvement. In my experience, mandated traffic avoidance systems would not offer the level of safety many people think it would.